This DVD is 4 hours long. The purpose of this Leerburg training DVD is teach you the art of dog training. It's our goal to show you that dog training is not rocket science it's 100% common sense. There are no "Tricks or Secrets of the Trade." Dog training is is an art that you can learn if you're willing to put your mind to it. The best dog trainers know how to build a bond based on two-way respect between the dog and the handler. These trainers know how to motivate a dog to want to learn. They understand how and when to apply distractions during training so they can show the dog that it must mind under all circumstances. 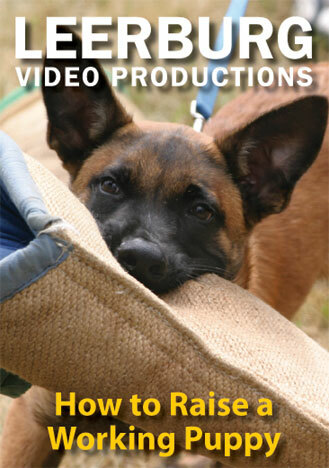 Our DVD will show you how to approach dog training. It will teach you how to break a task into small incremental training steps (or building blocks). Once the dogs has learned each of these small blocks we show how to put them back together again so the dog can easily perform the exercises. Ed Frawley has been training dogs for over 45 years. In 1982 Ed Frawley released his first Obedience training VHS tape (a long time ago). Over the years Ed Frawley has redone this video 6 or 7 times. Ed Frawley continued to add information and refined the program to the point where it is the best dog training DVD on the market. The latest version was released in August 2006. There is an old saying, "Dogs know what you know and they know what you don't know." Ed Frawley's dog training program and this web site can be your first step in the journey of showing your dog what you know. This DVD is organized into chapters, just like a book. The menu for our DVD allows you to watch the chapter you want when you want. This makes for a very simple review. The information in this video is designed to be watched again and again and again. 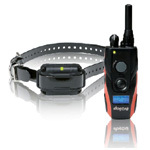 There is more information here than you would get in any local 10-week obedience class. Dog Obedience Store is a sub-domain of Leerburg, the largest state of the art dog training website with over 16,000 webpages written and approved by Ed Frawley.